Valve is once again doing an amazing job with marketing Team Fortress 2 way beyond the shelf date. In the past, people looked to Criterion Games as the go to company for DLC. Valve again shows that class updates, hats, and new content keep a game fresh. There was recent stirrings of new voices added to the Announcer (her real title is the Administrator) of the game regarding "Friendships" (you know that lady that yells at you during the game). Today Valve posted a super sweet comic strip actually showing what she looks like while paving the way for possible class updates! First, you MUST go check out this official Team Fortress 2 Administrator Comic if you play Team Fortress 2. I'll wait while you digest the pure win of the comic. Valve seems to have gobbled up an independent artist name Makani who created a excellent concept of the Administrator. Amazing Team Fortress 2 Fan Art She has a Two-Face kind of feel with half of her being red and the other half blue. The artist posted on their blog that Valve requested an interview with them and he or she went. It seems they have contracted Makani's artistic skills and now can use the Announcer concept as they well did. This artist has a lot of potential and will go far with Valve's artistic direction. 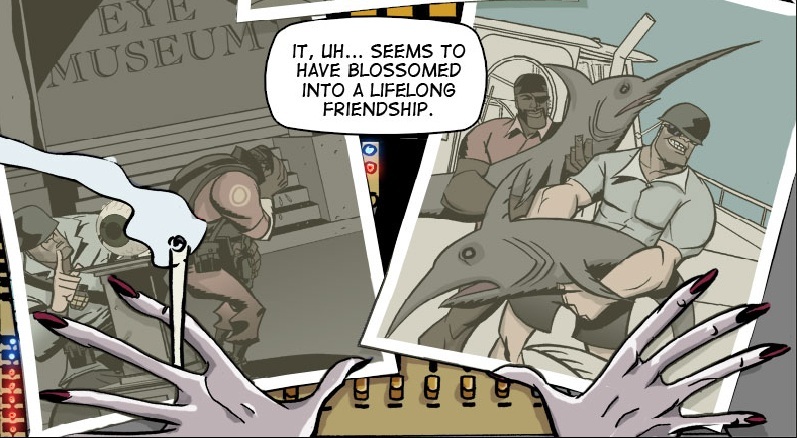 The biggest thing to take out of the comic is that the Blue Soldier and the Red Demoman have been secretly best friendly. Both guys somehow defy vision with Demo's perfect vision with one eye and the Soldier's lack of vision with his helmet. I liked how they met at a gun projectile convention. Also pointing toward class updates for the Demo and Soldier is that the Administrator is contacting Mister Hale. You know when we see his catelogue, there are always great weapons added to the game. We will find out tomorrow or very soon. Perhaps everyone's speculation is off and the Friendship turns out to be just the voice samples played when either a Soldier or Demo kill each other. 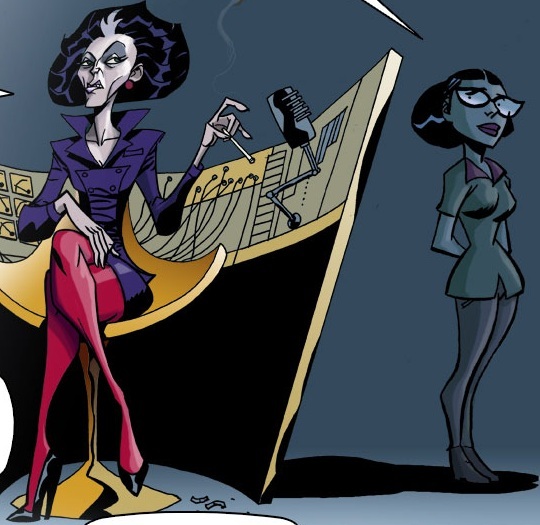 Either way, Valve has made the TF2 Announcer/Administrator even cooler because I can now picture her face veins tensed as she puffs a cigarette and yells "You are all failures!". Love Valve,have all their games,they are amazing.